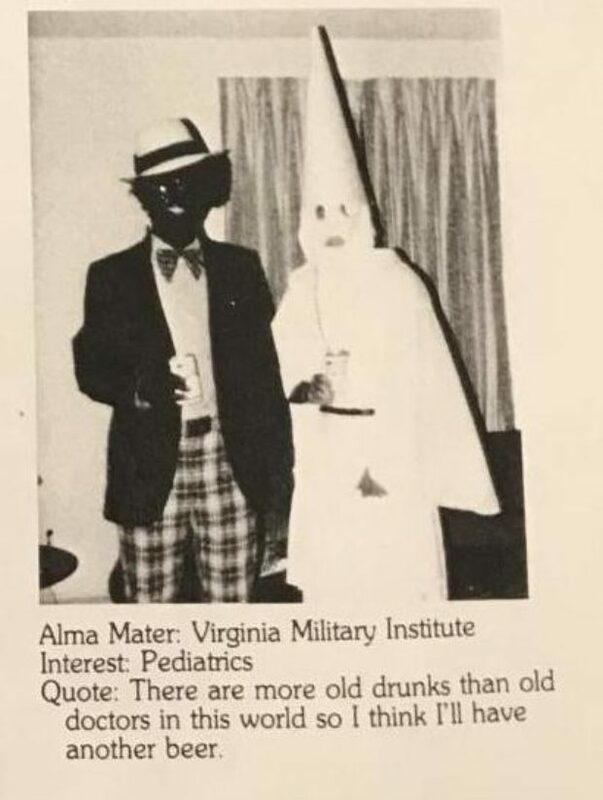 The almost 35-year-old racist picture shows one individual wearing blackface and another wearing a KKK robe. Northam so far hasn’t clarified which one is him, but either way the Virginia governor has already lost the support of several key constituencies, with more likely to follow. That photo and the racist and offensive attitudes it represents does not reflect the person I am today or the way that I have conducted myself as a soldier, a doctor, and a public servant. I am deeply sorry. I cannot change the decisions I made, nor can I undo the harm my behavior caused then and today. But I accept responsibility for my past actions, and I am ready to do the hard work of regaining your trust. I have spent the past year as your governor fighting for a Virginia that works better for all people. I am committed to continuing that fight through the remainder of my term and living up to the expectations that you set for me when you elected me to serve. Thank you. While Fox News reported that Cooper’s initial tweet of the segment included the error “without acknowledgement,” the CNN host has since removed the tweet and posted a correction on Saturday morning that included the correct chyron. “A previous tweet had a video misidentifying Gov. 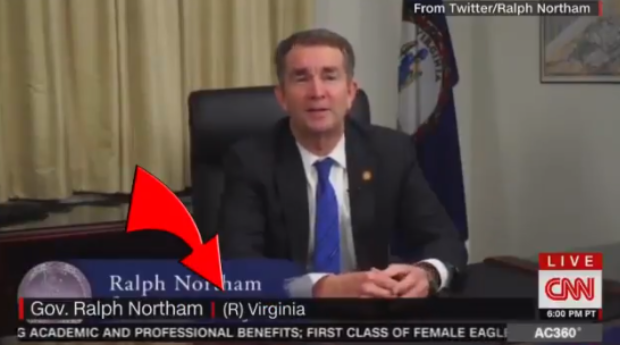 Northam’s party affiliation, it has been removed and the video has been corrected,” Cooper wrote. When you think CNN can’t go any lower, they run the Democrat Ralph Northam story saying he was a REPUBLICAN. They need another name other than fake news. Let’s call them what they are. Sadly CNN has sunk so low that we cannot just assume this was an innocent mistake.